Worcester-based startup label, Honest Face Records, is offering its latest production, a moody 4-song split with progressive indie/emo bands, oldsoul (Lowell) and Speirs (Rochester, NY), on Bandcamp at a name your price donation. A label that doesn’t necessarily “sign” bands, Honest Face releases enjoyable music that needs to be heard, without requiring any long-term agreement from the bands. Honest. Their current list of affiliate artists include several acts of the indie, rock, alt, punk, and/or emo variety including oldsoul, Sleeping Patterns, and JANK (PA). “Honest Face Records was established in 2013 when my good friend Stevie Fitzpatrick released a compilation album titled 'Mood Music’ featuring some great indie rock and punk bands that he thought deserved some more attention,” label co-founder Jake Checkoway tells Bishop & Rook. After the release of that compilation and a few local shows, the label took an indefinite hiatus as the concept became too time consuming for just one individual to handle. Meanwhile, Checkoway attended school for music business and technology where he was inspired by a few of his peers to start a label of his own as a spare time project. “At that point, I convinced Stevie to start Honest Face back up again. I took over most of the social media and promotional aspects while he managed the finances and music scouting.” Since the label started back up in 2015, the pair of been hard at work forming a foundation of talented bands and artists that deserve more attention. In addition to promoting music and hosting an online store, Checkoway and Fitzpatrick initiated Honest Face Sessions, a collaborative, live session series in which bands come into the recording studio (currently located at The University of Arts in Philadelphia, PA) to perform live. The label engineers/mixes the sessions and arranges for filmmakers to capture the bands' performances. An excellent opportunity to add to your multimedia portfolio and exposure, Honest Face encourage bands to reach out if interested in setting up a live session. Being represented by the label is not a requirement. And if you want the whole package, Honest Face Records is currently taking submissions at honestfacerecords@gmail.com. 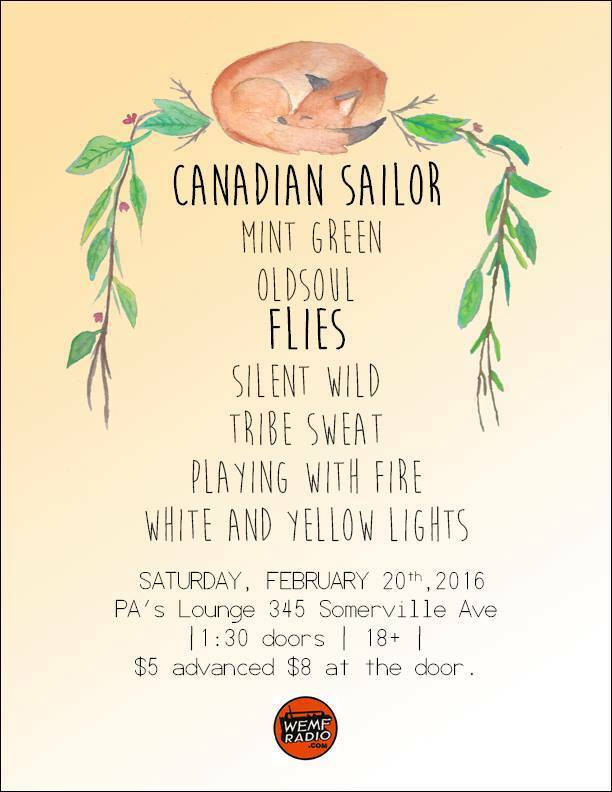 Catch oldsoul during WEMF Radio’s matinee show at PA’s Lounge in Somerville (1:30PM doors / 18+ / $5 advance, $8 at doors / event details). Download the oldsoul​/​Speirs Split on Bandcamp now. And learn more about Honest Face Records at their official website.